Old Crescent RFC win Munster Rugby Senior Club of the Year Award 2018! 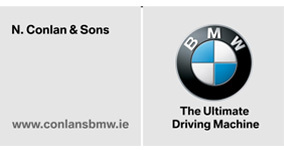 A record-breaking season which saw the men from Rosbrien promoted to Division 2A of the All Ireland League. 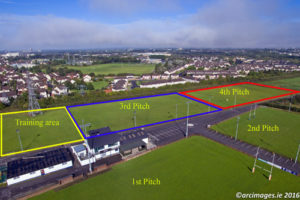 The 2017/18 Division 2B title was secured with the most table points (83), most points scored (635), most try bonus-points (13) and highest points difference (353), across all five divisions, as well as being the only one of the 50 sides competing in the AIL to go the entire league campaign unbeaten. Their Second XV also made the semi-final of the Munster Senior Seconds League, and their Third XV are in the final of the Webb Cup. 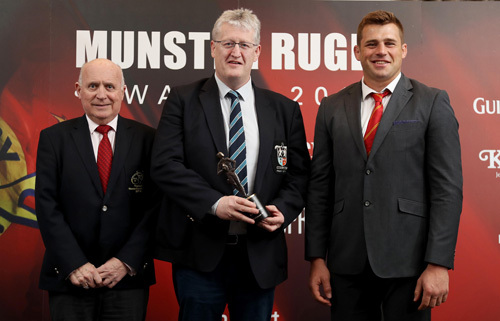 Our pictures shows Tim Duggan, President of Old Crescent RFC, accepting the Munster Rugby Senior Club of the Year Award from Charlie Buckley, President of the Munster Branch IRFU, and CJ Stander, Munster and Ireland, at the Munster Rugby Awards 2018 ceremony in Cork today. 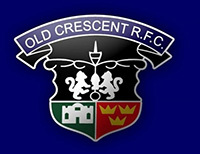 ◂ Old Crescent RFC crowned Champions of UBL Division 2B!